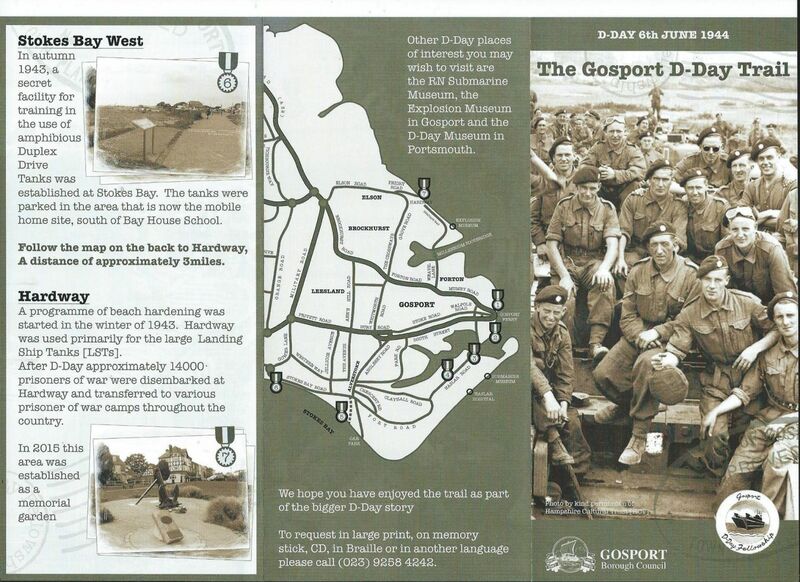 In April 2016 interpretation boards compiled by The Gosport D Day Fellowship were installed at two points along the promenande at Stokes Bay. 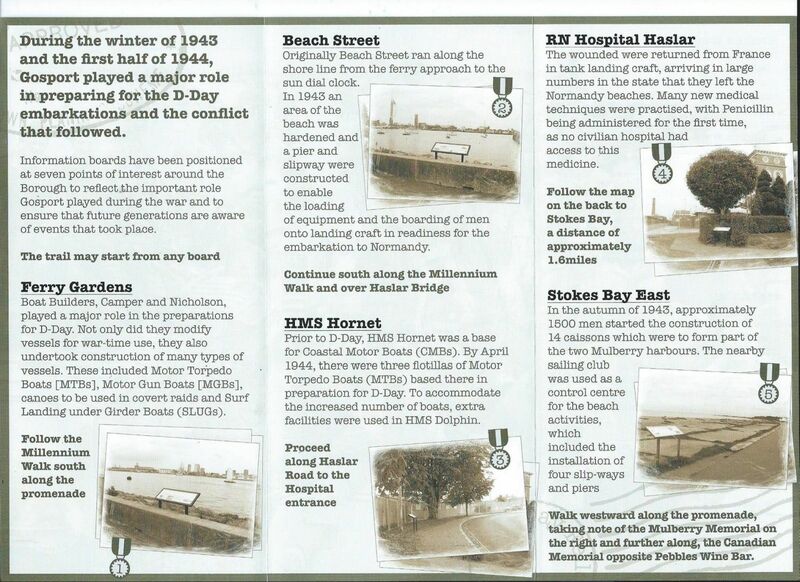 One is to be seen close to the site of D Day embarkation hard G3 where the raised walkway from Anglesey Road meets the promenade, the other is at the No.2 Battery (west) end of the promenade. These boards are part of a series of boards paid for by the Fellowship, Titled Gosport in 1943/44 – D-Day – Preparation and Embarkations for invasion of Normandy. Another has been placed at Hardway close to the surviving Embarkation Hard in Priory Road with two more on the promenade at Gosport ferry gardens.